Nawaz Sharif’s close relationship with Saudi Arabia is no secret. Perhaps it is sheer fate, then, that he happens to be Prime Minister when they come knocking and asking for military cooperation in their plans for Yemen. The reaction against this request has been mixed, with certain segments of society chomping at the bit to join an Arab operation against a supposedly Iranian-backed foe. More rational minds, even those very close to the military, have strongly warned against such a misadventure. One thing that seems to be missing from these warnings, however, is actually holding accountable those in charge of making such bad decisions. No one would accuse Ejaz Haider of being a wimpy liberal. The security analyst is so maritally-minded that he even uses a photo of some of his guns as his Twitter DP. But he has also been one of the most strongly outspoken against Pakistan Army taking part in Saudi Arabia’s conquest, an idea he termed as ‘stupidity at its most stupid‘. His analysis is spot on, but what it interesting is that the ‘stupidity’ is laid at the feet of Nawaz Sharif, as if the nearly ceremonial Prime Minister is actually making decisions about when and where to send Army forces. It is true that Nawaz is Prime Minister, and he has been in the headlines for his strong statements of support for Saudi Arabia. What is forgotten (or conveniently ignored) is the reality of national security policy decision making, which is much better illustrated by a photo of the committee that met to decide how to proceed with Saudi Arabia’s request. The meeting was attended by Defence Minister Khawaja Asif, Adviser to Prime Minister on National Security and Foreign Affairs Sartaj Aziz, Army Chief General Raheel Sharif and Air Chief Marshal Sohail Aman. The participants of the meeting decided that a high-level delegation will visit Saudi Arabia on Friday to assess the situation. Khawaja Asif, Sartaj Aziz along with senior representatives from the armed forces will be part of the delegation in this regard, the statement added. Nawaz’s name will be included in every headline and every decision will be attributed to him. This is already being seen in the way discussion is taking place, with some even debating on whether parliament or the executive should be take the decision to go to war. The height of sophistry! Neither parliament nor executive are allowed to make such decisions. Or can we honestly believe that Army would allow itself to be dragged into a war it didn’t want? Once again, Army has set themselves up to be responsible for any success, but not accountable for any failure. If Pakistan joins a Saudi attack on Yemen and it goes well, Gen Raheel will be celebrated as a hero of Pakistan and the Ummah. 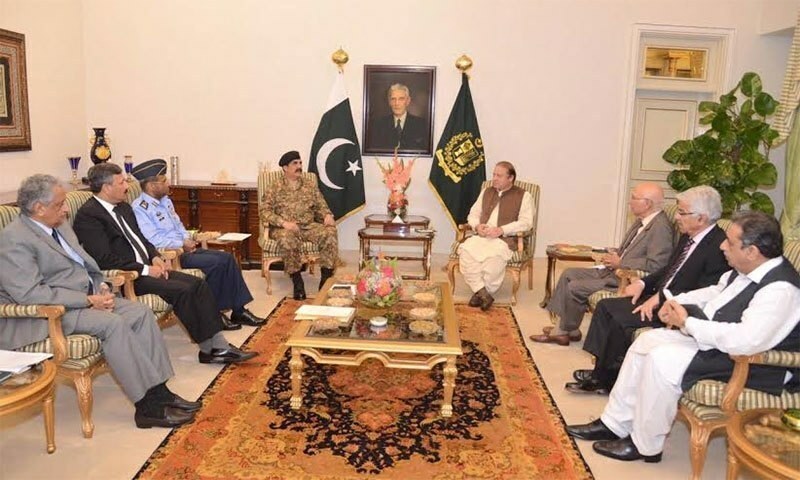 If Pakistan decides not to participate, it will be Gen Raheel seen as injecting sense into a belligerent Nawaz. If we do get involved and things go horribly wrong (as is all but certain), Nawaz will be branded as the idiot who got us into this mess in the first place. And when that happens, he will have no one to blame but himself. This entry was posted in Blogs and tagged Ejaz Haider, Gen Raheel, Nawaz Sharif, Saudi Arabia, Yemen by Mahmood Adeel. Bookmark the permalink. 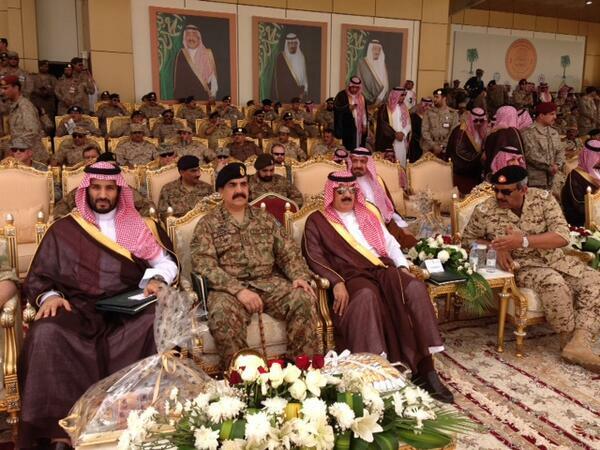 It’s not about Nawaz Sharif’s good relations with the Kingdom. Saudi Arabia always came to rescue Pakistan when needed the most be it the earthquake or any monetary help. I am sure General Raheel Sharif will not take a decision just based on Nawaz Sharif’s opinion , he will definitely consider the pros and cons and if at all Pakistan Army should mingle in this conflict. My opinion is that Pakistan Army should step in if it comes to protecting the two holy shrines otherwise keep out of this, we as muskins can’t kill another Muslim. It is bitter reality military leadership takes credits of achievement & discredit always goes to civilian leadership like Mushraf kargil adventure and others. Pak must not send troops to Yemen, bcoz we will not be able to bear the backlash of sunni & shia in Pak… Which will last for longer….